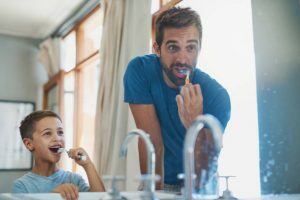 Did you know that practicing a healthy oral hygiene routine can go a long way in preventing the spread of harmful bacteria that can lead to common infections, including staph and strep throat? In fact, bacteria in your mouth can affect your entire body. Although the link between oral health and general wellness is well established in scientific circles, many people aren’t aware of the relationship between the health of their teeth and the health of their bodies. Most people will get a cavity or two at some point and as long as you get it filled this isn’t something you have to worry about hurting your overall health. The real issue when it comes to bad oral hygiene is your gums. The most common form of oral decay is gum disease, also known as periodontal disease. 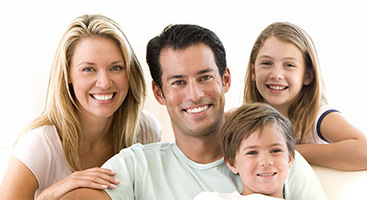 Gum disease can have many stages, periodontitis being the most advanced and serious. What Can You Do To Prevent Health Problems Caused By Bad Oral Hygiene? Taking steps to prevent gum disease now will save you from long term consequences associated with periodontal disease and potential health complications in the future. 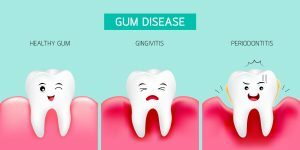 Schedule your If you notice signs of gum irritation and bleeding, schedule a consultation with Gentle Care Dentists as soon as possible to help protect your health and wellness.